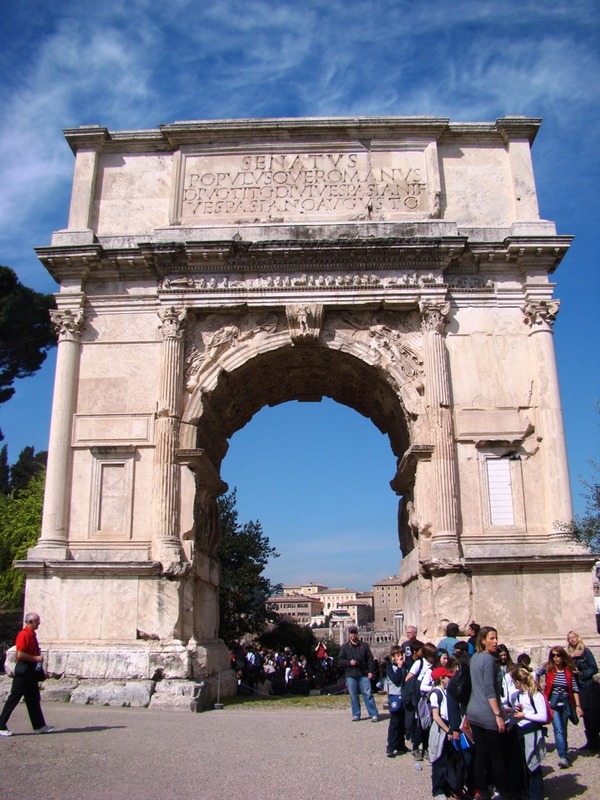 The Arch of Titus was built to commemorate Titus’ defeat of Jerusalem which took place in AD 70. Arch of Titus. Photo by Leon Mauldin. 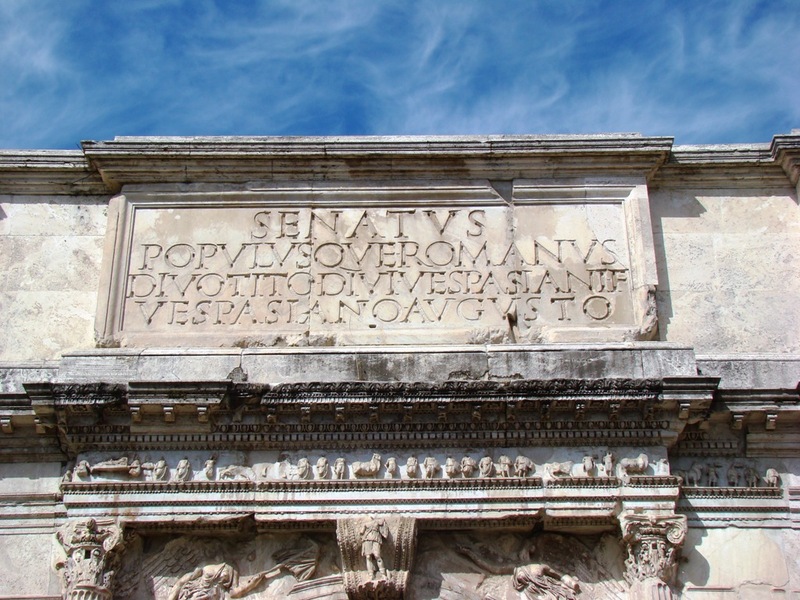 The Latin inscription at the top reads, “The Senate and People of Rome, to Divus Titus, son of Divus Vespasian, Vespasian August.” (The title Divus indicates that the arch was erected after Titus’ death). Inscription on Arch of Titus. Photo by Leon Mauldin. Titus died at the young age of 50 in AD 81. Deification of the Roman Emperors took place after death. 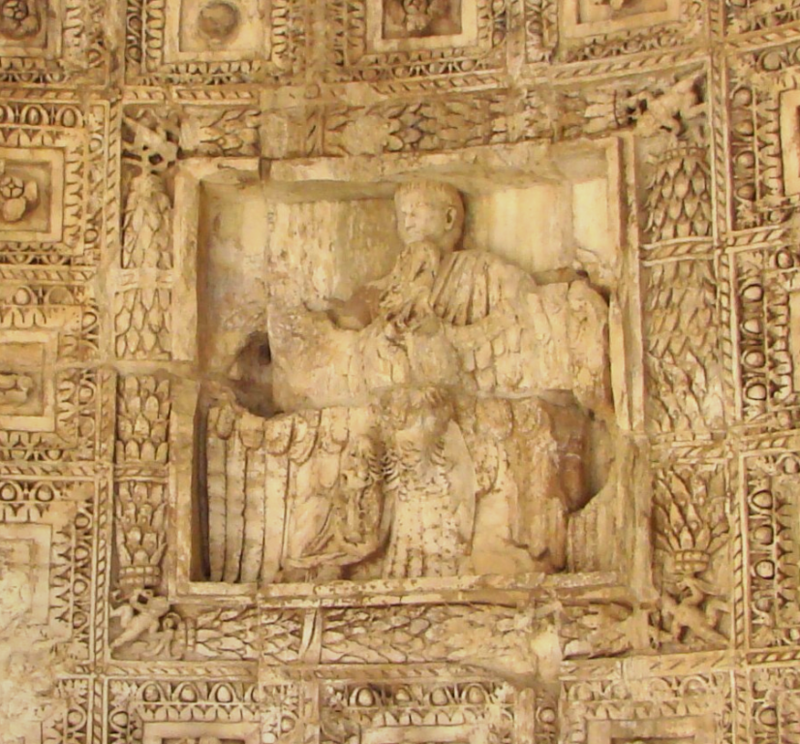 His deified figure is depicted on the underside of the archway. He is portrayed flying heavenward on the back of an eagle. 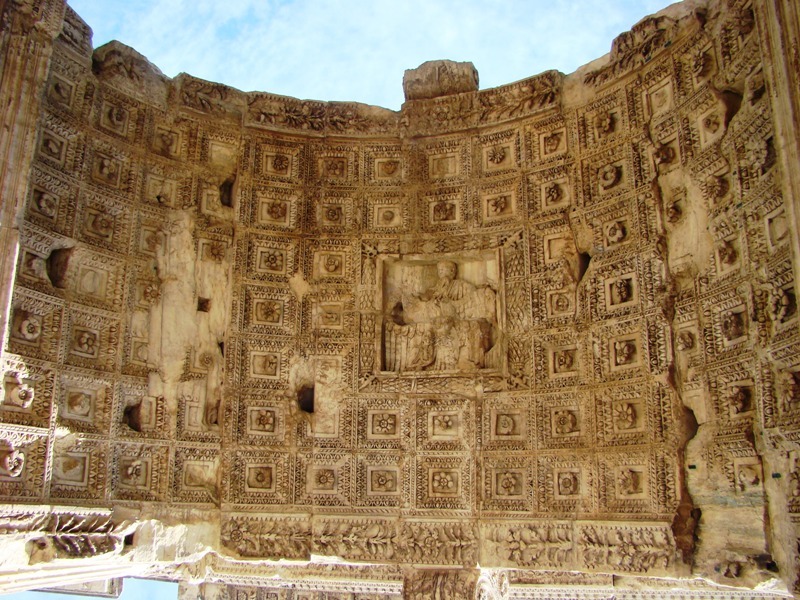 Underside of Arch of Titus. Photo by Leon Mauldin. Note the detail of the center coffer of the coffering. Detail of deified figure of Titus. Photo by Leon Mauldin. The arch was built in AD 81-82 by Titus’ brother, the Emperor Domitian. A previous post on the Arch of Titus appeared here. This entry was posted on Friday, April 6th, 2012 at 11:32 PM and is filed under Bible History and Geography, Italy, photography, Roman Empire, Rome, Travel. You can follow any responses to this entry through the RSS 2.0 feed. You can leave a response, or trackback from your own site.